David S. Brecher - Mediator & Arbitrator based in Jacksonville, Florida. Please click your preferred available date to submit a request. Your Appointment Form will be sent to David's assistant, Leesa Battistic. David S. Brecher is a Florida Supreme Court certified Circuit Court Mediator, a Federal Court Certified Mediator and a Florida Supreme Court Qualified Arbitrator. Mr. Brecher has a broad-based background in commercial litigation, product liability litigation, tort and insurance-related litigation and personal injury litigation, having litigated, mediated and tried cases in the state and federal courts of Florida for over twenty (20) years. 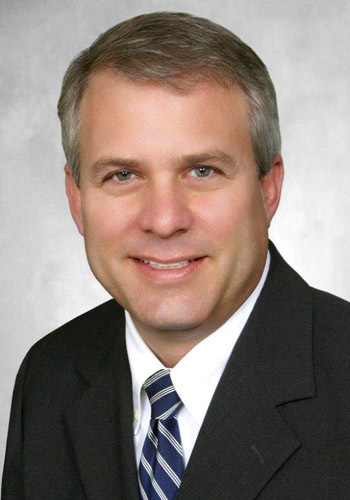 Since devoting his practice to full-time conflict resolution, Mr. Brecher has mediated over 1,200 cases in Jacksonville and throughout the state of Florida involving a wide variety of subject matters including product liability, professional negligence, toxic torts, insurance coverage and bad faith, personal injury and wrongful death, premises liability, construction, employment, condominium and homeowners' association disputes, creditor’s rights, foreclosure, estates & trusts, warranty, contract disputes and other commercial matters. Mr. Brecher’s background representing product manufacturers, corporations, business owners, and insurance companies, while at the same time representing plaintiffs in a wide range of matters, allows him to bring a unique, fair and impartial perspective to the mediation process. His creative and persistent approach frequently result in unanticipated settlements in the “difficult to settle” cases he is selected to mediate. He has also been described as tireless and committed in terms of staying engaged and following up when necessary after a mediation session. Mr. Brecher holds an AV rating from Martindale Hubbell reflecting the highest distinction available for legal ability and adherence to professional ethical standards. He dedicates his practice to full-time conflict resolution, and focuses his mediation practice on the mediation of civil disputes throughout the state of Florida, including pre-suit voluntary mediations and settlement conferences, court-ordered mediations and appellate mediations.